It was a typical Friday at Annbriar Golf Course in Waterloo when general manager Russ Nobbe received a phone call in the pro shop. 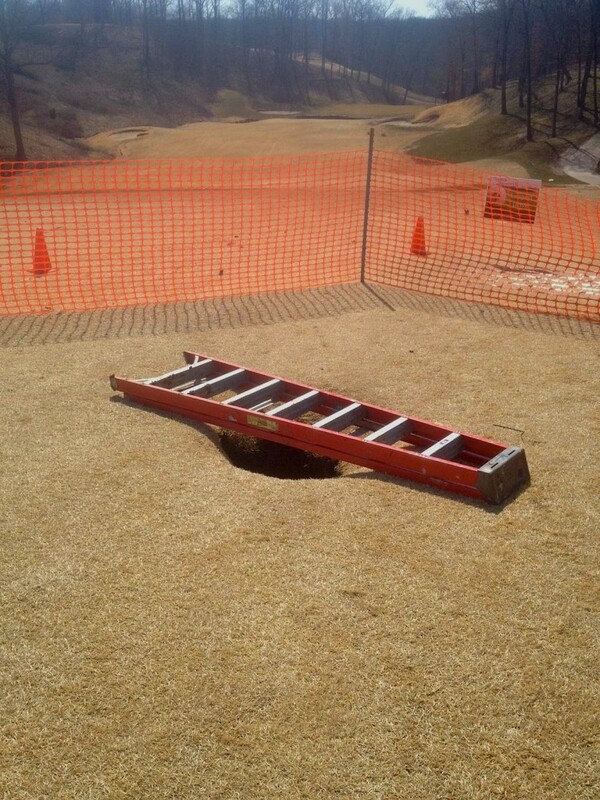 “They said somebody fell in the sinkhole on 14, bring a ladder,” Nobbe recalled. Mark Mihal of St. Louis was walking down the fairway of the 14th hole when the ground gave way beneath him and he fell about eight to 14 feet, according to Nobbe, into the earth. “I’d call it an act of nature and kind of a wild thing that happened,” Nobbe said, attempting to describe the rare occurrence. 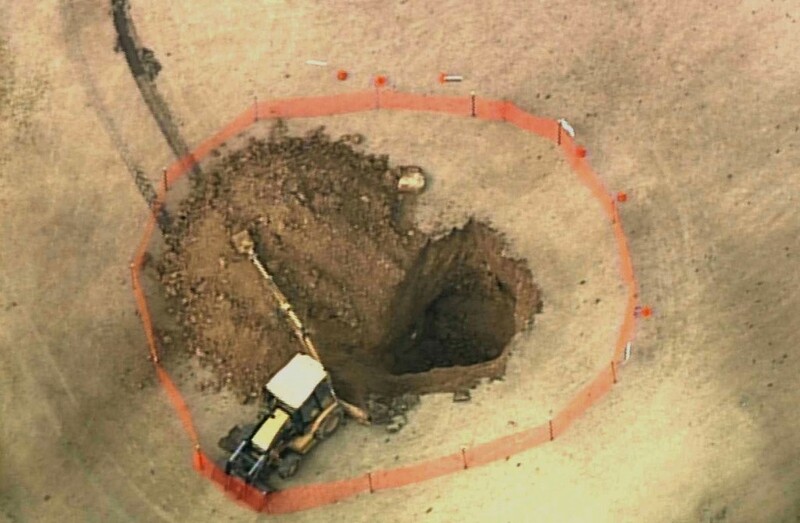 Most community members are aware of the numerous sinkholes and that Monroe County is full of the geographic anomalies, but few have ever heard of someone discovering one by literally stumbling into it. As Nobbe said of the freak accident, Annbriar is made up of 230 acres of land and that’s the one place this man walked. “It’s probably a pretty scary feeling,” Nobbe said, trying to imagine how Mihal felt. A rescue crew found it soon enough, transferring a ladder down the sinkhole to Mihal. “We were worried about the roof of it collapsing,” Nobbe told the Republic-Times, adding that thoughts of the incident in Florida early this month where a man and his home were engulfed by a sinkhole with rescue crews unable to retrieve him were running through his mind. After Mihal was removed safely from the sinkhole and taken directly to the hospital in an ambulance, Nobbe said it was difficult for the feeling of what had just occurred to set in. To read more on the Annbriar sinkhole and what the golf course is doing to repair it, pick up a copy of this week’s edition of the award winning Republic-Times newspaper — on stands Wednesday. 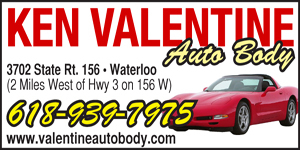 Or subscribe online today!